Apple announced on Tuesday that in less than a week, Chief Executive Steve Jobs will return to the stage, along with a team of company executives, to present Mac OS X 10.7 Lion and iOS 5 —and to introduce its new iCloud service. The Worldwide Developers Conference keynote will begin Monday, June 6 at 10 a.m. Pacific Time. Apple confirmed that it will show off the now-officially-named iCloud, dubbed "Apple's upcoming cloud services offering." No additional details were given. Also set to be revealed by Jobs and Apple executives are Lion, the eighth major release of Mac OS X, and iOS 5, the next version of Apple's mobile operating system for the iPad, iPhone and iPod touch. 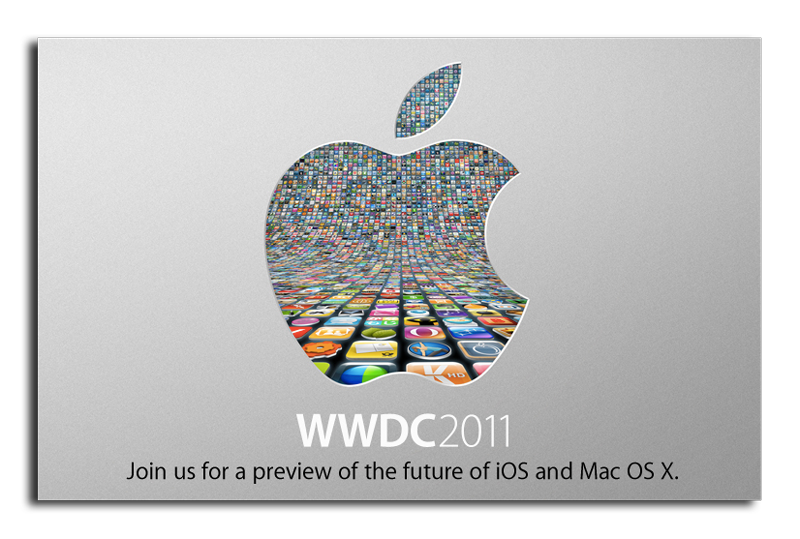 WWDC will feature more than 100 technical sessions presented by Apple engineers. Mac developers will see and learn how to develop world-class Mac OS X Lion applications using its latest technologies and capabilities. Mobile developers will be able to explore the latest innovations and capabilities of iOS and learn how to greatly enhance the functionality, performance and design of their apps. All developers can bring their code to the labs and work with Apple engineers. Though Tuesday marks the first official confirmation of the iCloud service, its existence was hardly a secret. The company acquired the iCloud.com domain name for an estimated $4.5 million in April. AppleInsider exclusively reported that same month that Apple was utilizing the iCloud name with several products under development. 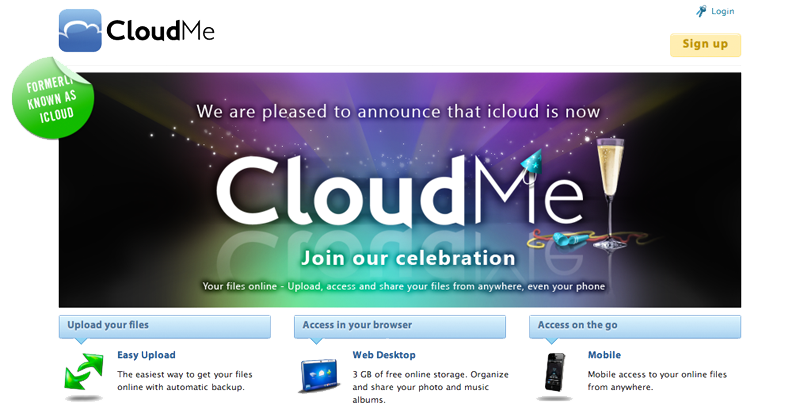 It is expected that iCloud will replace the existing MobileMe cloud service, which offers e-mail and syncing of contacts and calendars. A major new component of iCloud is expected to be a music streaming service that will allow users to access their music library from any Internet-connected device, like an iPhone, without the need to save music files locally on the device. It is expected that the product will scan users' iTunes libraries and then mirror them with Apple's own high-quality audio files stored in the cloud. Monday's announcement of iCloud via a press release less than a week before the WWDC keynote is a strange decision for the secretive company. But in addition to the new service, Apple must also showcase Lion, its next version of Mac OS X, as well as iOS 5 during the keynote to kick off WWDC. The picture for Lion is slightly more clear, as Apple first showed off the Mac software update last October and preview releases of the software have been provided to developers. Lion will bring iOS features "back to the Mac," including home screens, tighter integration with the Mac App Store, new multi-touch gestures, and full-screen applications that auto-save and auto-resume. As for iOS 5, both it and Mac OS X Lion are rumored to have deep connectivity with the new iCloud service. Numerous reports have claimed that iOS 5 will offer improved voice commands, but the software is not expected to be unveiled alongside new iPhone hardware. Apple's fifth-generation iPhone is expected to show up sometime later this year, and not at WWDC. A more recent iOS 5 rumor from last week suggested that Apple also plans to add widgets to its mobile operating system. It was also said that Apple plans to revamp its notification system, a part of the operating system that has been heavily criticized when compared to competing platforms like Google Android and HP's Palm webOS.